The December issue of Foreign Policy magazine included its list of the “Top 100 Global Thinkers of 2012,” six of whom are New York University scholars. Included were Danah Boyd, research assistant professor of Media, Culture and Communication at NYU’s Steinhardt School of Law; Jonathan Haidt, a Thomas Cooley Professor of Ethical Leadership at NYU’s Stern School of Business; Chen Guangcheng of NYU’s School of Law; Paul Romer, a professor of economics at NYU Stern and director of Stern’s Urbanization Project; Nouriel Roubini, NYU Stern professor of economics and international business; and Beth Noveck, a visiting professor at NYU’s Robert F. Wagner Graduate School of Public Service. Foreign Policy selected Aung San Suu Kyi, a member of the Burmese parliament, and President Thein Sein of Burma as this year’s top honorees. Also on the list are Bill and Hillary Clinton, Bill and Melinda Gates, Barack Obama, Paul Ryan, Angela Merkel and many other well-recognized names in politics, journalism and technology. Connie Milstein is a member of NYU’s Board of Trustees and shares many interests with members of the Foreign Policy list. She is a fervent advocate of military service, supporter of medical research and activist for international diplomacy. In 2000, Connie was awarded the prestigious National Human Relations Award by UN Watch and its parent organization, the American Jewish Committee. 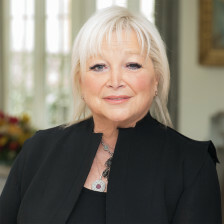 As a trustee and alumnus of New York University, Connie Milstein has been involved in much of the innovative educational programming developed in the School of Arts and Science. For instance, freshmen participate in the Collegiate Seminar Program, launched by Connie Milstein in 2007. This program offers seminars for freshmen and provides mentors for the new students who will guide them throughout their years at NYU. The Constance Milstein and Family Academic Center is a branch of NYU in Washington, D.C. Connie Milstein envisioned this center as the ‘home away from home’ for NYU students wishing to come in contact with the intellectual, political and cultural pulse of our nation’s capital. NYU is continuously searching for ways to improve the education they offer and stimulate the students in their schools. With help and support from Connie Milstein, NYU continues to provide the excellent educational model for which they are so well admired.